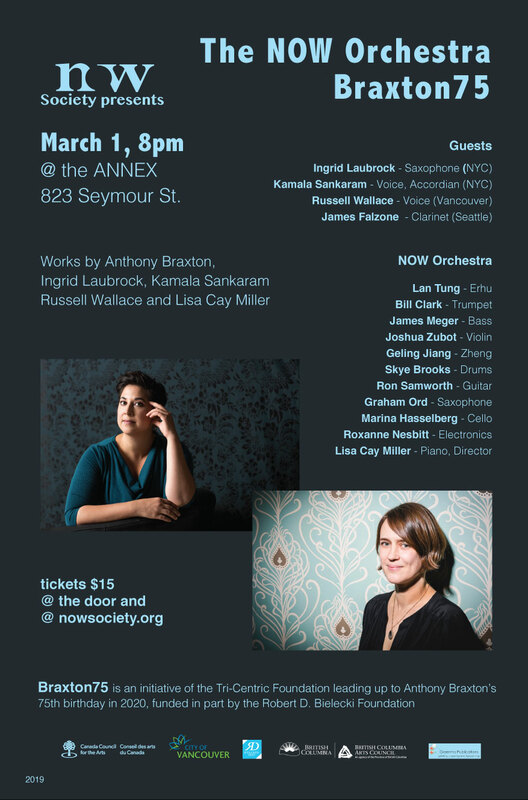 Featuring works by Anthony Braxton, Ingrid Laubrock, Kamala Sankaram, Russell Wallace and Lisa Cay Miller. Part of Braxton75, an initiative of the Tri-Centric Foundation, leading up to Anthony Braxton's 75th birthday in 2020. Purchase Tickets also available at the door. Funded in part by the Robert D. Bielecki Foundation.